Holiday.gr - Kanapitsa, a trip to a myth! Kanapitsa is considered a district in Skiathos. It is located in the southeast part of the island, 5km from the town. In the region you will find many rural houses. During the last years it has evolved in tourism. There are a lot of luxurious hotels and complexes of rooms to let around the homonym cove. 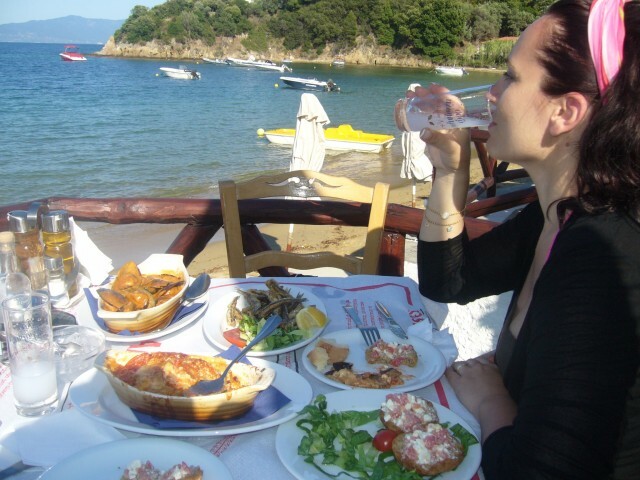 The beach of Kanapitsa is one of the most famous in Skiathos. Distinguishes for its tourist infrastructures and options for water sports. There is a diving school for those wanting to explore the bottom of the sea. Been to Kanapitsa ? Share your experiences!